The mechanisms behind asthma and a whole host of other conditions related to the immune system going haywire are not yet fully understood. While there are some factors that appear to contribute to the risk, there is no special factor that increases your risk of asthma dramatically: the processes underlying it are very complex and cannot be traced down to one culprit. Still, one of the most popular theories regarding the origin of allergies and asthma is that the conditions our children find themselves in are too far from what it used to be centuries, or even decades ago, when prevalence of the disease was lower. It is our wish to make our environment virtually sterile that backfires, researchers say. Without the germs found in areas where you are exposed to animals, your immune system does not get enough training, eventually failing to differentiate between allergens and harmless substances. This is called hygiene hypothesis. And it is not without reason that this theory is supported by many a scientist. It is not that it is a decisive factor, but there is ample evidence that there is a link between early exposure to pets or farm animals (with the latter having an even more significant effect) and lower risk of asthma. 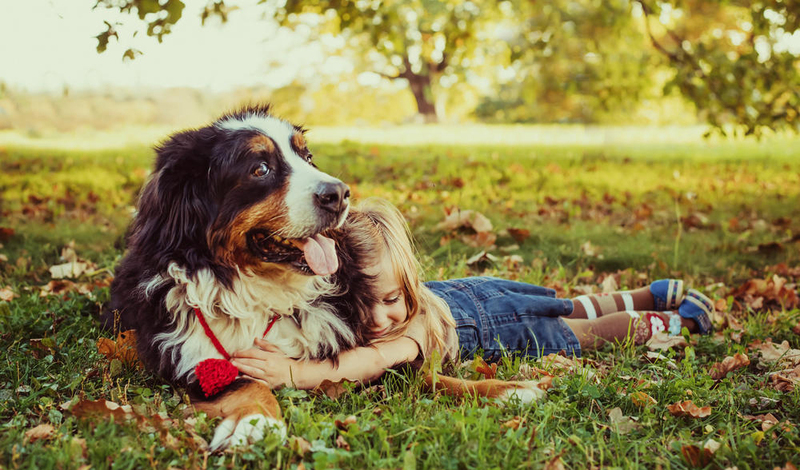 For example, a team of researchers from Uppsala University found that those children who grow up in families with a dog are 15% less likely to suffer from asthma. In most cases, if you already have allergy, you are recommended to refrain from becoming a pet owner, but if you have not been diagnosed with it yet, having a dog may help you avoid this debilitating disease. 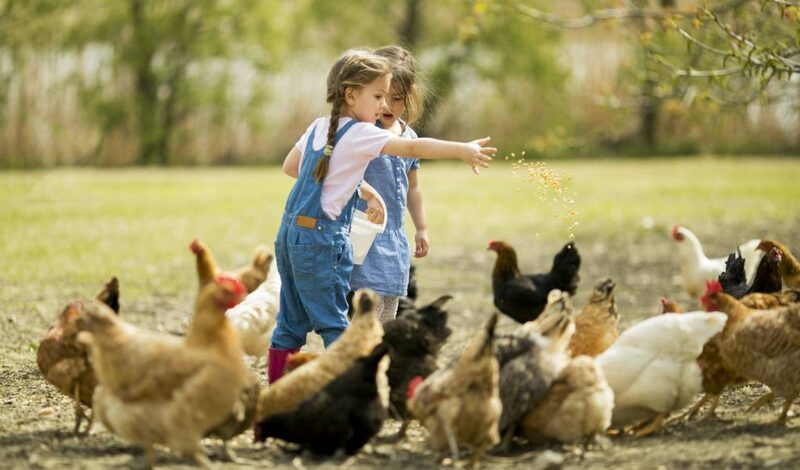 An environment that is even more effective at encouraging proper development of the immune system is farms. There is evidence that spending your childhood surrounded by hens, pigs, cows, sheep and all other animals that can be found on farms can cut your risk by half. The reason for it is that with so many living creatures around, your body is exposed to a wide range of viruses and bacteria, which are simply unavailable in the comfort of your apartment in NY. Cats also can help to prevent your body from developing asthma. One of the things to bear in mind is that the breeds that are generally considered hypoallergenic are not actually as safe as anecdotal evidence suggests. It is true of both dogs and cats. A recent study carried out by a team of scientists from Karolinska Institutet found that the association between having an ‘allergy friendly’ dog and risk of allergy is inverted: it can be explained by the fact that in cases when allergies run in the family parents tend to choose supposedly safer breeds. Another curious finding was that female dogs are more effective at reducing the risk of asthma, and having two dogs appears to be more protective than being an owner of only one four-legged friend. Having a pet has a lot of benefits, regardless of age – it is of great help to seniors, who often find themselves too lonely to be happy and fail to maintain a decent level of physical activity. Having a dog can help solve both problems. 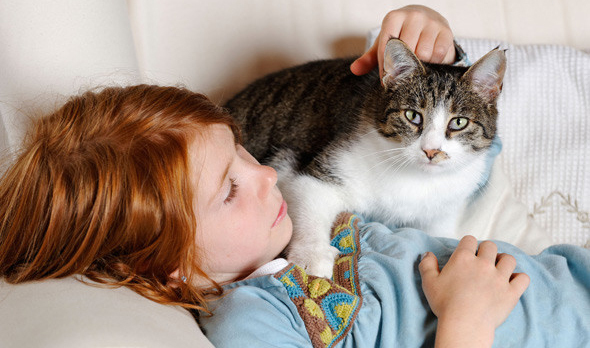 For children, having pets around helps the mind and the body develop in a healthy way.